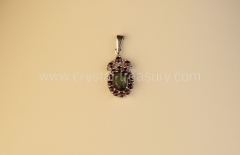 Size: 1.6 x 1.4 cm (0.55"
We carry dozens of beautiful Czech garnet pendants of different motifs. 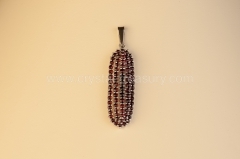 Our garnet pendants will dazzle you with their unique red color, unmistakable fire and exceptional shine. 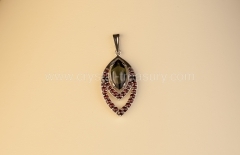 Czech garnet pendants are perfect gifts that come directly from the heart.